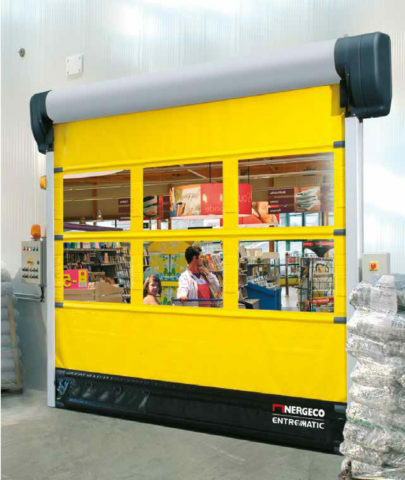 Nergeco R-Series multi-composite roll-up doors are to the requirements of your specific industry. Due to the custom fit of the flexible curtain, Nergeco’s interior doors slide open and close with less noise and wear – the flexible curtain fits securely in the structure creating a barrier between building sectors, for example a shop floor and back of house area. 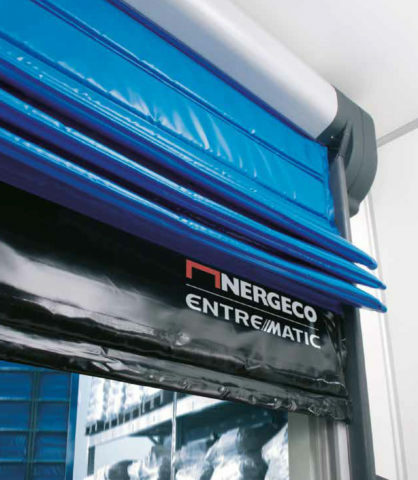 Nergeco R Series interior roll-up curtains can also be fitted with an emergency exit option for further safety measures. If you would like to enquire about a Nergeco interior high speed door, get in touch with us today! Call us on 01886 833381, email us at sales@mtcss.co.uk or follow the link below to fill in a contact form. 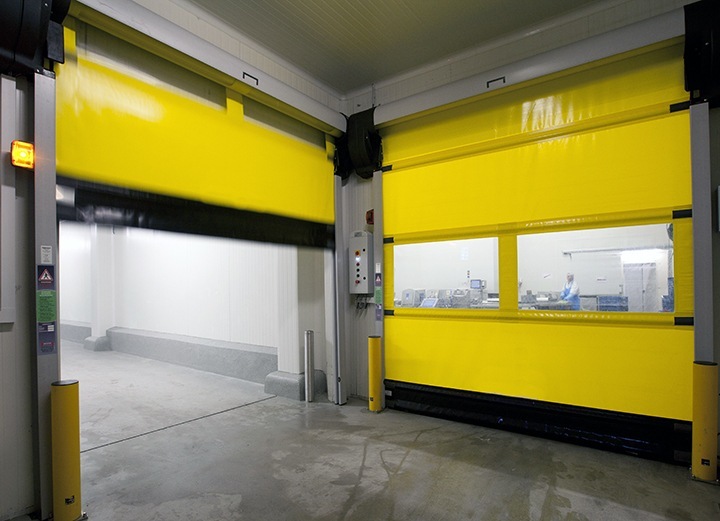 Easy to clean high performance door, for enhanced hygienic conditions – ideal for food processing applications. 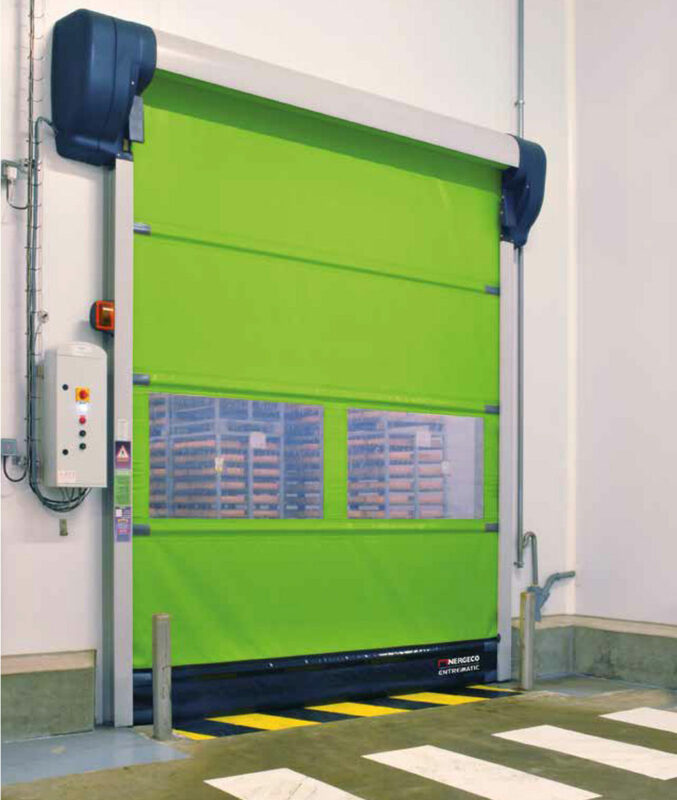 The Nergeco R Food 5 door is made from a food grade single layer flexible curtain, which has been adapted to for high pressure washability and natural drying. The food-grade door’s frame is a smooth, non-corrosive multi-composite frame. The high performance door is designed so the curtain will reset itself in case of accidental crash and to avoid damage and high repairs the door offers impact absorption. 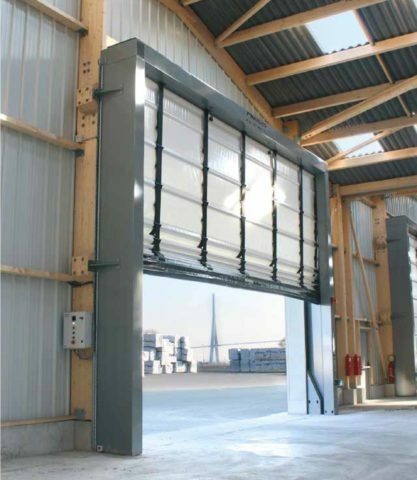 High performance door for clean environments – enhanced sealing and pressure resistance. 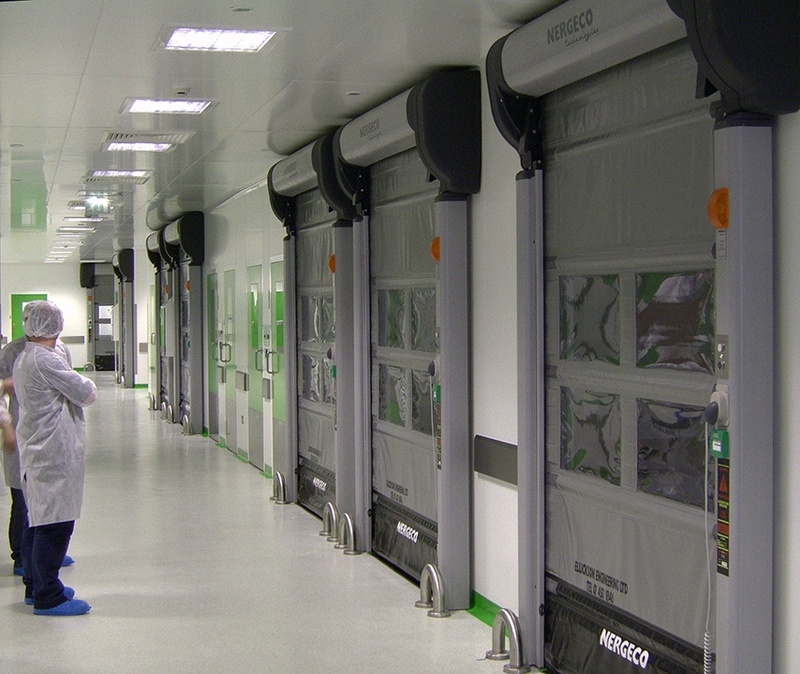 The Nergeco R Labo 5 is a multi-composite high performance door for clean environments – the door’s structure keeps contamination risks at a minimum, making it ideal for pharmaceutical and medical industries. The enhanced seal and pressure resistance reduces air leakage (up to 40 Pa pressure difference). 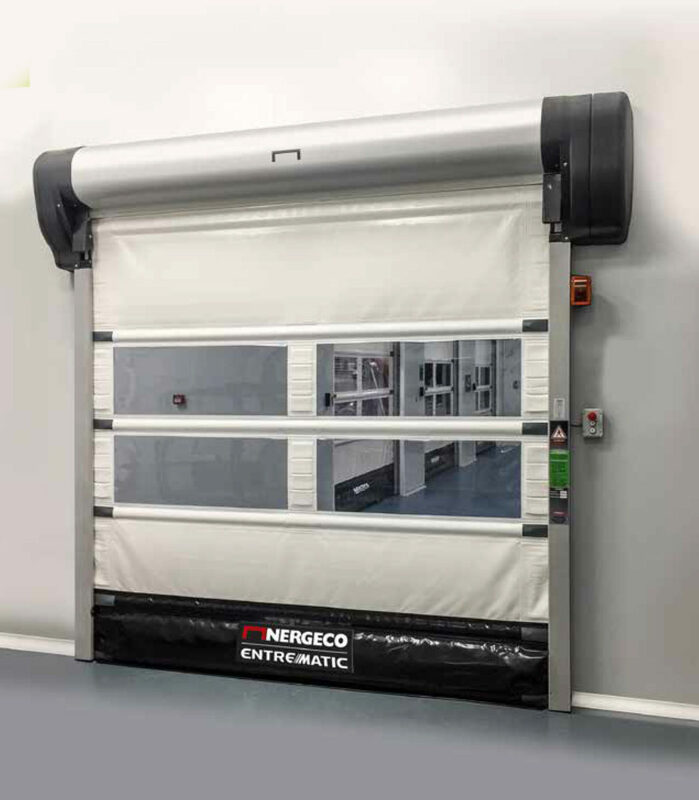 The Nergeco 5 Labo door is equipped with auto-resinsertion technology, ensuring in the case of accidental crash the curtain will reset itself. To reduce maintenance and repair costs the direct drive motor provides long lasting performance and impact absorption avoids permanent distortion of the door.